Browsing articles in "Art and Artists"
Lucent L’amour is a festival that embraces the visual, architectural and performance arts as passionately as it does music and dance. It is the transformation of one night into a spontaneous combustion of love and mayhem. It is a creative synthesis of dance and electronic music, vaudeville performance, and street art into one multi-sensory experience. 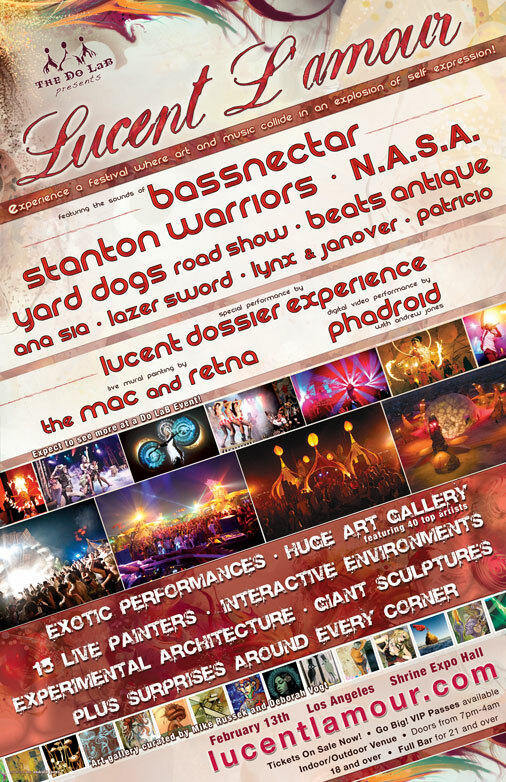 To create the fifth annual Lucent L’amour, The Do LaB is bringing you two stages of music and performance, a cutting edge art gallery, live painters, larger-than-life interactive sculptures, and elaborate stage and environment designs from the west coasts leading artists. in an explosion of self expression! Plus more performances to be announced! clothing and food vending and a ton of other surprises! 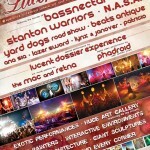 The fifth annual Lucent L???amour! Go Big VIP Passes available! Glass, that is! And Plasma and Argon! The other January 9th birthday I mentioned in a previous post is a bit more significant and personal, as it is the day that a very dear friend of mine was born, for which I am eternally grateful and thankful. An astonishing guitar player in his own right, but also an accomplished artist… a one-of-a-kind artist at that. Rick Zar is the Man! Rick grew up in an artistic environment in San Pedro, California, with his influential step-father artist Jimmy Zar, well-known for is amazing oil paintings, and his younger brother Chet Zar, who left his mark in Hollywood, but has branched way out beyond the confines of the silver screen. Rick Zar used to work for the amazing mad scientist Larry Albright in Venice Beach. Larry Albright was well-known for building contraptions based on Nikola Tesla’s theories. At one point in time, he was the only person on the planet doing what he does. (Go to the video at the end of this posting to watch and listen to a clip of Larry Albright). Pioneering in blown-glass contraptions known as Crackle Tubes and Lightning Globes, and holding the world record for having built the smallest neon art for the Francis Ford Coppola movie “One From the Heart”. Also having created installations for Stephen Speilberg’s “Close Encounters of the Third Kind”, building custom pieces for Michael Jackson, and a long list of other amazing, unique works of art that have found their way all over the planet. Let’s focus for a moment on this latest artistic venture, PlasmaPipes.com… an artistic endeavor which took a lifetime to achieve. It had to. Necessary were the many years of accumulated specialized skills and esoteric knowledge in order to be able to pull off the amazing feats of artistry currently being unleashed into the world. Be the first kid on your block to have one of these one-of-a-kind blown-art Plasma and Argon gas glowing art pieces in your home. No one, but NO one on the planet does this. There is only one man capable of making these unique artistic beauties. There are a few who have tried, but where they have all failed in their attempts, Rick succeeds because of his sheer mastery of the craft. He is wizard-like in his abilities. It’s a magick that only he knows how to manipulate to full effect. Get Your Plasma Art Now! Retailers all over the country are ordering these babies up. Each art piece is custom, hand-made by the artist. Why pay retail prices when you can get wholesale prices here! Just tell him that Twan sent you! Enjoy the sample photos on this site (which don’t do them justice). You got to see them to believe it. *All glass is sold solely as art. However, you must be 18 years old to view the contents of this website or to purchase products. Environmental Art ??? Permaculture Design ??? Natural Building ??? 4 FULL Days & 3 Nights?? Including Tent Camping!?? ONLY $75! Please pass this on to everyone! * Note – Kids under 12 are FREE accompanied by parents. We will BUILD and Leave a Trace!?? Play in the Mud – Play in the Spray! This is an URGENT Event! * Help Build Beautifully – Re-birth the Site! * Honor The Goddess of Life! * Have FUN Dancing the Patterns of Nature! Imagine, Create and Be Showered With Possibilities! * Earthen Artists & Natural Builders, including: Kata Polano, Miguel Elliot, Michael Blaha, Bruce Thauburn, Scott Howard, many more! Hendrix Band, unclejack..?? drum circle, rituals and MUCH more to follow! 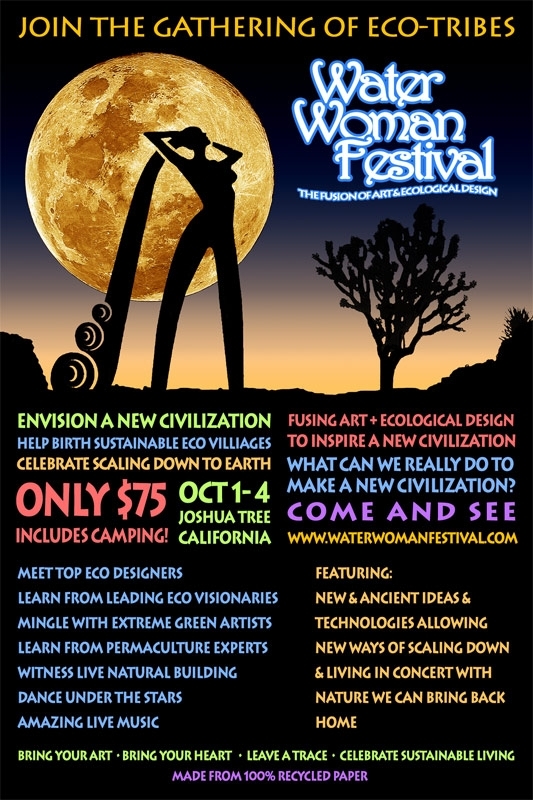 Water Woman Art Challenge: As a group of eco-artists it is our goal to set new standards in sustainable art forms to provide energy, food, shelter, and water systems. By coming together as community, artists, permaculturalists, performers, musicians, natural builders, and motivated students, our structured plan is to go beyond our society’s definition of sustainability so we can be self reliant and educate others back home. Science Collaborative, Boulder Community Gardens, and more! Bring the Burning Opera Roadshow to L.A. Burning Opera Roadshow Background: As some of you might know, Twan (former L.A. BM Regional director) used to produce longtime SF artist Pepe Ozan’s Burning Man Opera’s from 1998-2002. The director and co-writer of those operas, Christopher Fulling, is now directing an amazing project called “How to Survive the Apocalypse: A Burning Opera”. Twan was originally offered the producer position for this project, but had to decline due to the fact that he is out of the country and will be until well after Burning Man this year. As such, he would not have been able to perform his duties to the best of his abilities. “How to Survive the Apocalypse: A Burning Opera” is about the history of Burning Man. It gained such a positive response from the honchos at Burning Man headquarters, that a few of them are actually performing in the show, not the least of which is ActionGrl (Andie Grace) and Michael Mikel (aka: Danger Ranger, one of the principals of Burning Man Org). The “Apocalypse” team has been pushing hard to get the show on the road, beginning after Burning Man this year. This past January, they did a test run of a scaled-down version of the show in SF, which was supposed to be a one-off, but due to overwhelming demand, 6 shows were added, all of which sold out immediately. Read a review of those shows here. The “Apocalypse” team has managed to get six shows set up in Teatro ZinZanni?? ?s famed spiegeltent on the San Francisco waterfront Oct 5-7 and 12-14. They are desperately trying to bring the show to L.A., but they have not been able to find a producer-type to help them secure a location and work with logistics. It would be a terrible shame for this show not to come to L.A., especially given the inspiring, awesome, and huge creative community we have here. Below is a blurb from the show’s technical director, Cookie, who has a rich history working with Cirque du Soleil, and the show’s executive producer Dana Harrison, who had worked in upper management in the Burning Man org for a decade. How to Survive the Apocalypse – a burning opera (http://www.burningopera.com) – is a musical freak fable that combines rock opera, vaudeville, and a Dionysian revival show into a Hair for the new millennium. The show will debut in San Francisco in early October, but is considering an LA engagement this fall if the stars align properly. The specific stars needed are a local LA producer(s) to handle production and promotions as well as alternate venue possibilities. The producer(s) role(s) is some combination of organization, logistics and venue management as well as marketing and promotions. Must be well connected, a total self starter and intimately in tune with the local burning man scene. The venue needs to be in the range of 400-600 seats and be flexible enough to accommodate a thrust or in the round style of play as well as all the necessary parking, food and beverage etc for a full blown night at the opera temporary autonomous zone extravaganza. The producer role is key although it could be a combination of the right people if there was one in charge of it all. Promotions wizard might be different from good at managing a venue wizard. Want to run away with the circus? Want to leave this life behind? Following a completely sold-out and held-over engagement in the summer of 2008, Los Angeles’ only established circus troupe Cirque Berzerk returns for the 2009 run of “Beneath”, a decadent and demented descent into the underworld. Opening on June 18th in downtown Los Angeles, the world “Beneath” features fiery burlesque dancers, jaw dropping acrobatics, stunning aerialists, punk rock clowns, gothic stilt-walkers, and psychedelic vaudevillian tomfoolery. Come early to dine picnic-style around the tent, and stay late for a nightly party in the Berzerk Lounge with the Cirque Berzerk circus troupe and enjoy a live performance by Vaud & the Villains. The Cirque Berzerk Site is currently in the process of being redesigned. In the short-term, we have thrown up a splash page with 2009 show info. You can also navigate to the online ticketing via the CB site. When the new site is up (soon! ), we’ll let you know. Well, we sent out our most cynical, jaded scouts to watch the show when it premiered.?? And, well, we were astounded when those highly cynical, hard-to-please emissaries were completely blown away by what they saw. This show??? Is awesome.?? Funny, intelligent, poignant, thoughtful, and thoroughly representative of our little shindig in the desert.?? OK, so lucky for you, they’re taking it on the road.?? And not only that, but you can get involved, too! Though we were presenting a humble workshop performance with no budget, the event was wildly successful, with Burning Man virgins and grizzled old timers registering great enthusiasm. [The show] is both engrossing musical theater in its own right and a piece of art that truly captures the feel of the [Burning Man] event and the Zeitgeist of its attendees. Now we are planning a Fall Tour of the West Coast in September and October, with a more ambitious national roadshow on the horizon of 2010, featuring east coast venues. To get more information about the show and our mission, check out the Burning Opera website. Currently, we are in negotiations with Teatro Zinzanni to use their gorgeous and historic Spiegeltents in San Francisco and Seattle as anchors for our fall tour. Because we would play the Zinzanni tents on Monday through Wednesday, the weekends would remain open, allowing us to present the show at other West Coast locations. The current plan is to begin some rehearsals and design in the Bay Area in late August, and to have a small presence in Black Rock City, where we will shoot some video and connect with new performers and collaborators. The main block of rehearsals would begin after Burning Man in San Francisco, where the show would open on Sept 22 & 23. We are currently looking for an appropriate venue between SF and Seattle for the weekend of 9/25 & 26. The show would then run at Zinzanni in Seattle 9/29 & 30. We hopefully will find another ‘midway’ venue 10/2&3, and then close our run in SF 10/5,6& 7. Finally, we aim to travel to L.A. 10/9 & 10. Are you on the East coast? We want to talk to YOU! We’re looking for volunteers in the NYC, DC, and Virginia area to help run these events, as well as to host fund raising events throughout the summer. We are also excited to collaborate with some of the many spectacular artists, ensembles, and DJs that have been so essential to the Burning Man experience, either as ‘guest stars’ or as separate acts before or after the show. Please send resumes, photos, videos, links to production@burningopera.com.